If you see this error, your browser and/or computer doesn't have this enabled. Unfortunately, we can't troubleshoot this issue on your machine. 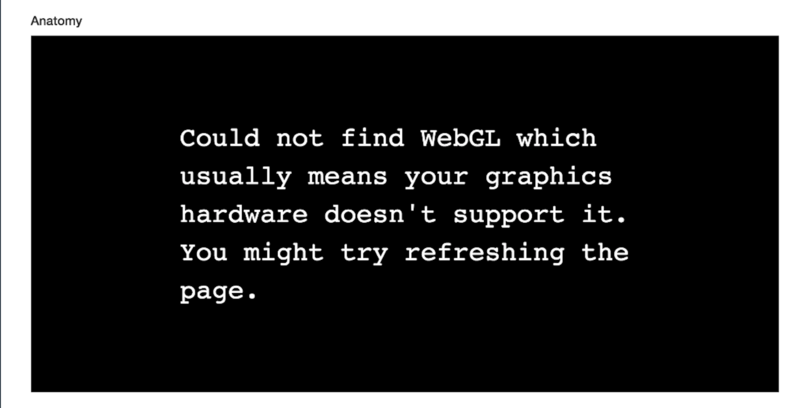 If the above doesn't work, our general suggestion is to google why webgl isn’t working on your computer because it could be any number of things from the browser configuration to the installation of various drivers or plugins. Another interim solution would be to load Osmosis on your mobile device (as the web app or mobile app) and/or to load Osmosis from another computer that doesn't have this WebGL issue.